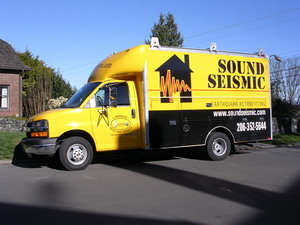 Sound Seismic, Jackson Remodeling's earthquake retrofitting division, is featured in the initial episode of Comcast On Demand's new show. Home In On It, hosted by Megan Hunt, is a refreshing look at various home professions. The first program, airing beginning June 1, 2007, focuses on green building, earthquake preparedness, and natural landscaping. If you have Comcast Digital Cable, browse to the On Demand programming. We are in the middle segment of the show. Let us know what you think! !